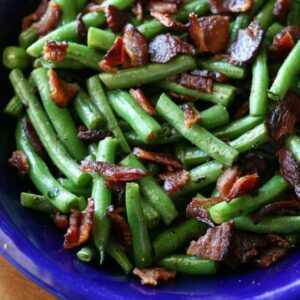 This is another recipe from my archives (circa 2010) that I picked up, dusted off, and made it healthier for you. The last time I made them was about two kids ago, and I had forgotten how good they were. 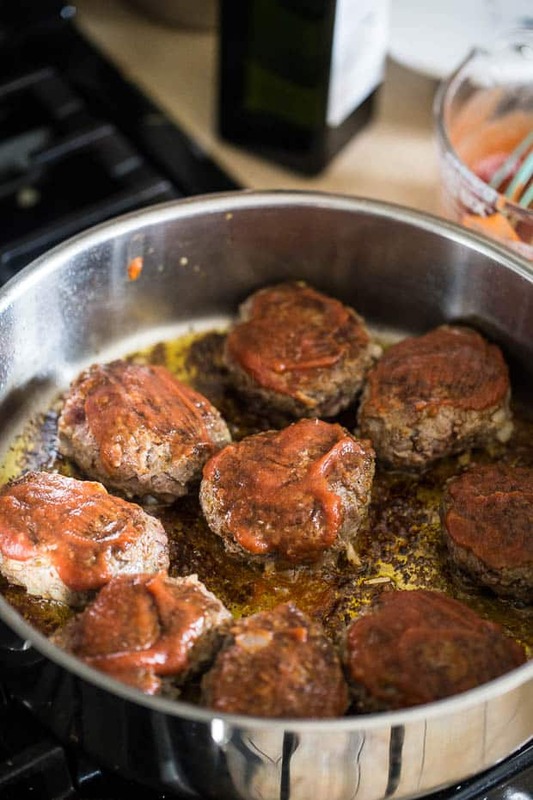 These Mini Skillet Meatloaves were a HUGE hit with my kids, too. They wolfed them so fast I had to make them again the next week just so I could snap some photos. No complaints, here. They also made fantastic Whole30 leftover lunches. We get our grass-fed beef from the local university’s ranch. 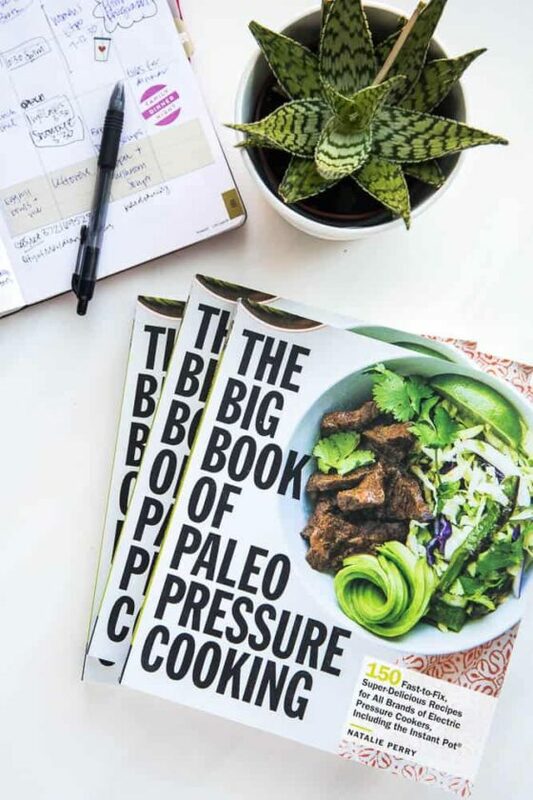 It’s so easy — I just walk in there and pull a bunch of meat out of the freezer and get my card swiped and it doesn’t require my firstborn (take that Whole Foods). They’ve got grass-fed/pastured beef, lamb, and pork. I don’t ever want to move. 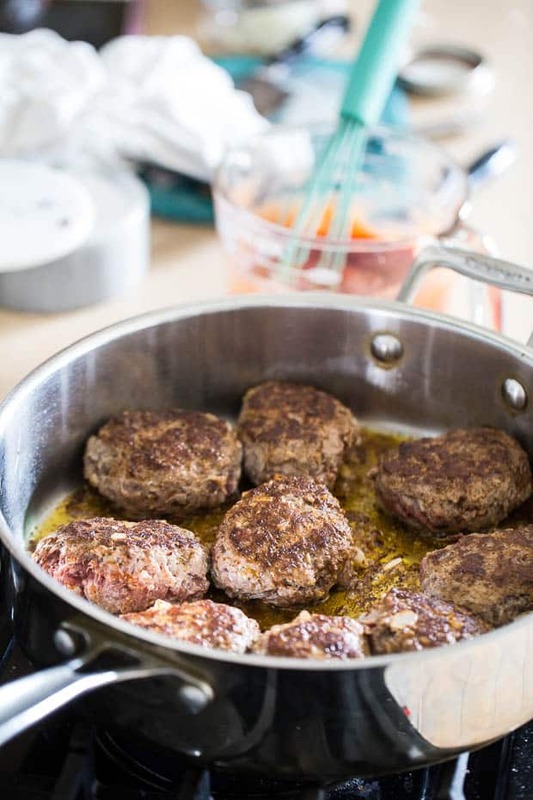 These Mini Skillet Meatloaves are a cinch to throw together. 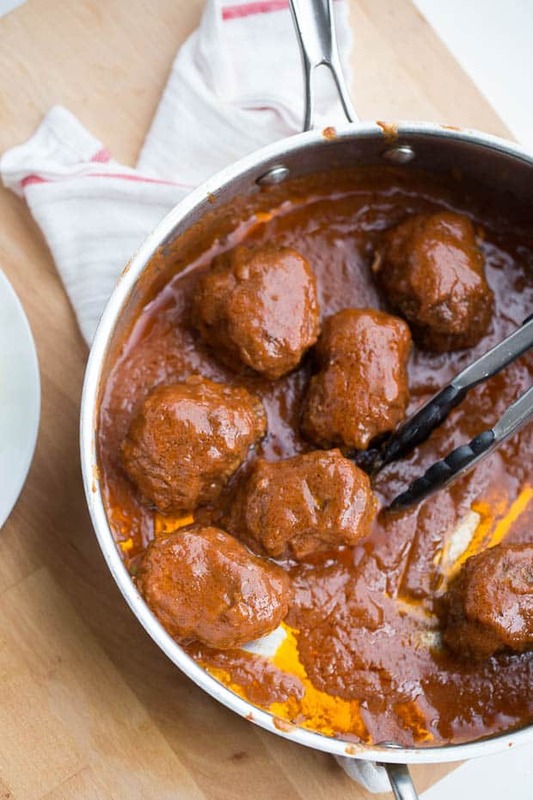 You could even form the meatballs a few days in advance! Oh, and three seconds after I divided up this meat and snapped a photo, I realized I forgot to add the onions. And then I realized I forgot to add the chili powder. Sigh. I was trying to cram this project into the last few minutes of a certain 1-year-old’s naptime. I’ve always wondered if meatloaf was just one, giant meatball. 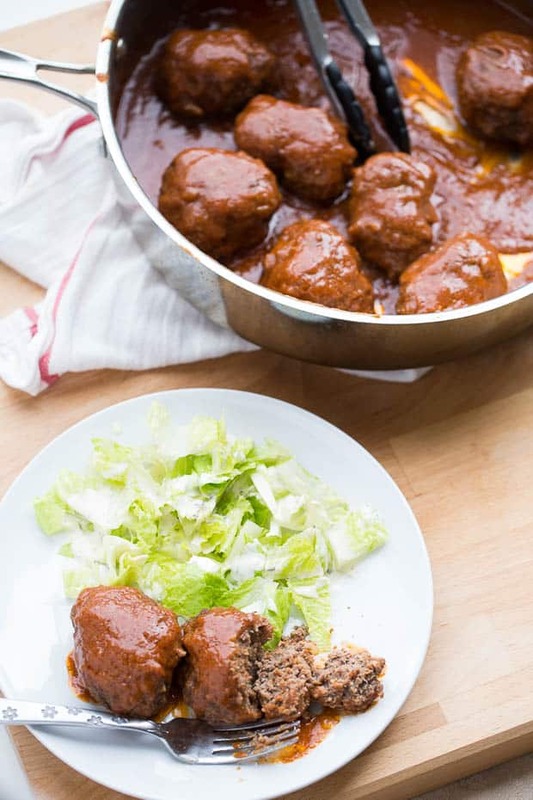 So these mini meatballs would also be extra large meatballs? 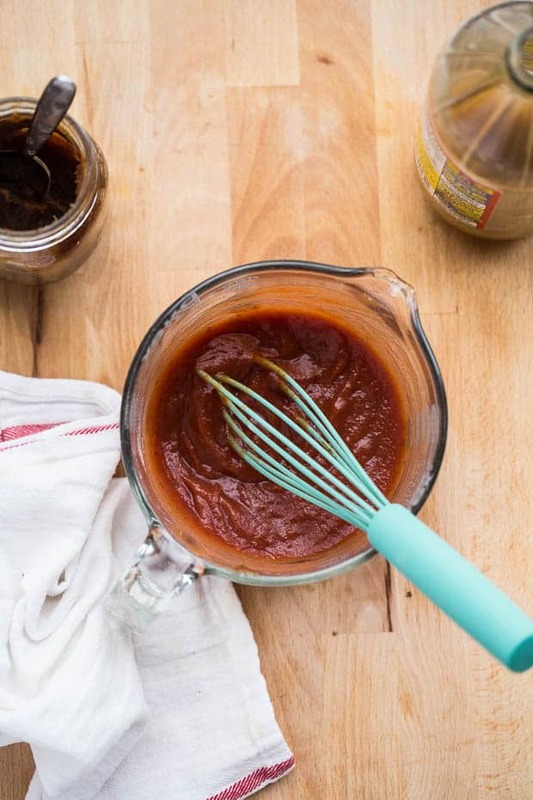 The original recipe for the sauce was basically ketchup, brown sugar, and vinegar. After replacing the ketchup in my favorite Sloppy Joe’s recipe with tomato sauce and honey with no devastating consequences, I did the same thing here. If you’re on a round of Whole30, just use Date Paste in the sauce. That’s what I did with mine, and I didn’t even notice a difference! You could also use 1/4 cup of fruit juice (like apple or pineapple). Brown the meatloaves so they get a nice, caramelized crust. Your pan isn’t hot enough. Let the pan get hot — not to the point where the oil is smoking, but just before then. Water flicked into the pan should sizzle a lot. The meat gets poked and moved around too early. Once you put the meat in there and hear a sizzle, DON’T TRY TO MOVE IT. I know it’s tempting. I like to fidget with what I’m cooking, too. Let it cook for a few minutes first. Then try to get a spatula underneath. If you are met with a lot of resistance, then it’s not ready to flip. 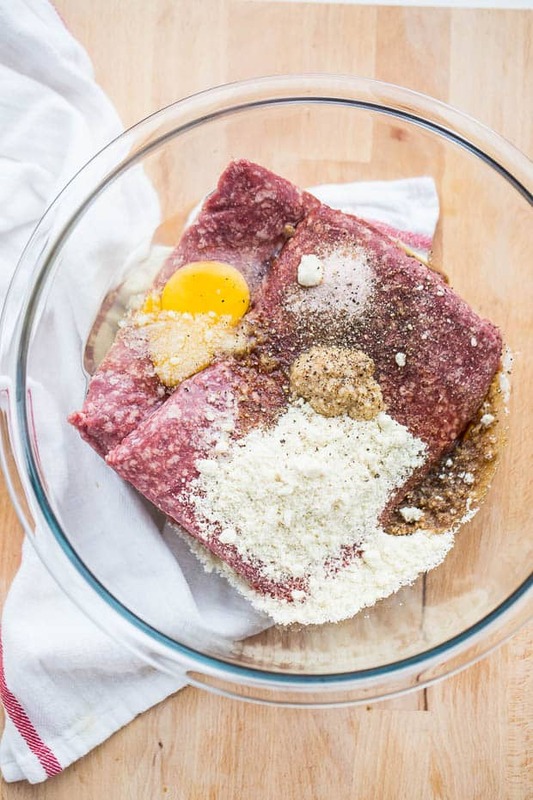 Once the meat forms that crust it will release itself from the pan — for the most part. Sometimes you’ll still have a little bit of stickage, but it’s a lot better if you wait. If food sticks to the pan anyway, (sometimes it does happen) add some liquid to the pan while it’s still hot and as it bubbles and sizzles, scrape the bits off the bottom. (It’s called deglazing the pan if you’ve noticed that word in recipes before.) Sometimes you’ll take out the meat first and add some liquid for the next step in the recipe. Sometimes you’re at the very end of cooking, so take out the meat and then use water to deglaze. Sometimes you’ll add the sauce right in with the meat (like in this case) and it’ll deglaze itself as it continues to cook. See those bits that are kind of stuck to the bottom? It’s fine, really. In fact, it’s a good thing because it’ll give that basic tomato sauce mixture a giant flavor boost. Cute, right? And you don’t have to wait over an hour for it to bake in the oven. I call that a win-win. 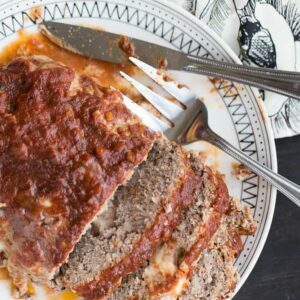 If you’d rather have your meatloaf in a true loaf form and want something clean AND easy for a weeknight, try the Paleo Meatloaf from Sheena at Noshtastic! 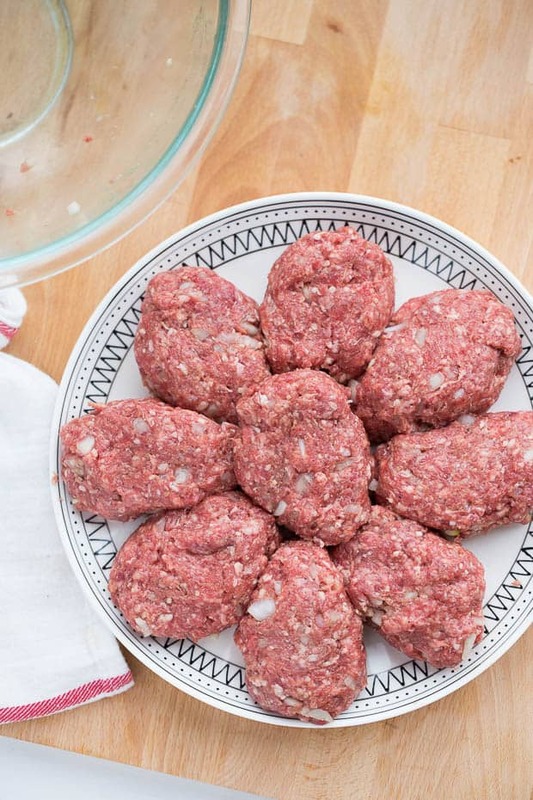 These little meatloaves are perfect for when you're in the mood for meatloaf but don't want to wait a whole afternoon for it to bake. OK, maybe it doesn't take that long, but an hour and a half is a long time to wait when you're hangry. 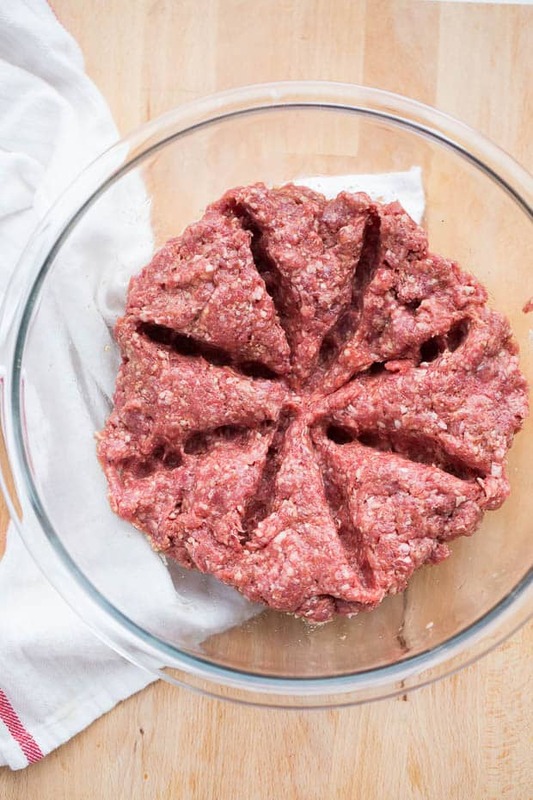 Place the ground meat into a large bowl. Add the minced onion, almond flour, egg, coconut aminos, garlic, chili powder, 1 teaspoon of the salt, and the black pepper. Mix everything with your hands until combined. Be sure not to squeeze the meat between your fingers - be gentle or else you'll end up with squishy, mealy meat. 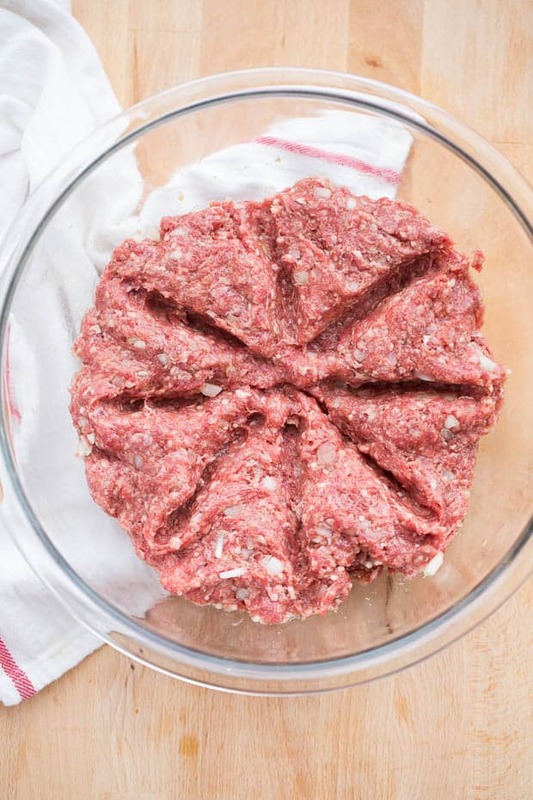 Flatten the meat in the bowl and score the top to divide it evenly into 8 sections. Heat the oil in a large skillet over medium-high heat. Add the loaves and brown about 3 minutes per side. Meanwhile, whisk the tomato sauce, date paste, and vinegar, onion powder, and remaining 1/2 teaspoon of salt, and brush a few tablespoonfuls over the browned loaves. Add 1 cup water to the skillet, cover and simmer over low heat until cooked through, about 12-15 minutes. Transfer the loaves to a clean plate. Add the remaining tomato mixture to the skillet and cook over high heat, stirring, until thick, 3 to 5 minutes. 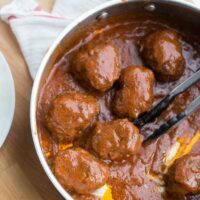 At this point you can pour the sauce over the meatloaves and serve or return the meatloaves to the skillet and toss them around in the sauce to coat them well. These look awesome! Do you have any suggestions for an almond flour replacement? My kiddo is allergic to Almond, Coconut, Gluten, Rice, And Oat (and a million other things) ?. Maybe the flour for the bread I make him? It has a heavy sorghum base? 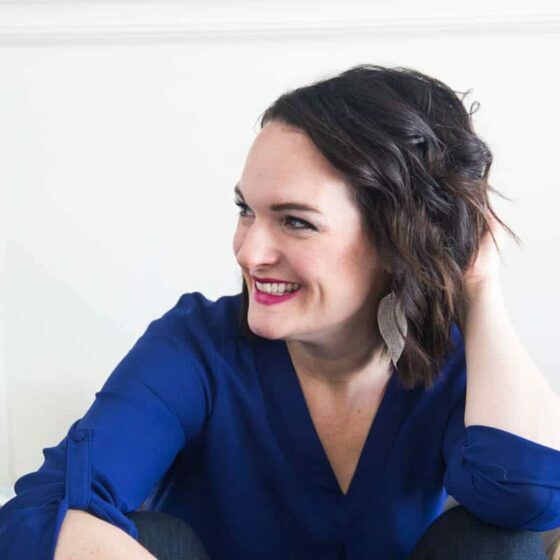 Your website has literally saved me! 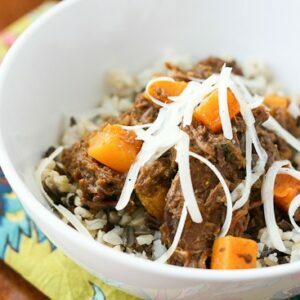 I was at a complete loss and feeling totally defeated for good tasty food to feed my son and most of your recipes work perfectly with his diet or can be easily adapted ! We had sloppy joes and sweet potato fries tonight! My husband loved the seasoning for the fries. He usually never touches anything with sweet potato! Making this tonight! I noticed that your recipe leaves off when to add the rest of the salt and the onion powder. I assumed it was for the sauce so I threw it in there. Cant wait to try it! Yes! It goes in the sauce. I fixed it — thanks for catching that!